This is an unuaual and quite lovely plant to bring the late summer garden to life. 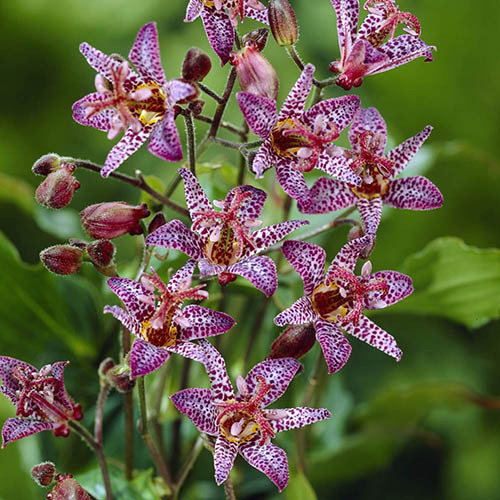 The exotic looking star shaped spotted blooms are borne on arching stems. It deserves to be planted somewhere such that the intricate flowers can be viwed up close and also makes a lovely cut flower.